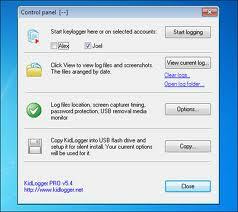 A keylogger app is beneficial in securing an Android device. If you are always worried that your Android device is being abused or misused by your kids or employees when you are not around, installing a keylogger app will be helpful. HelloSpy can remotely monitor all activities in your cell phone whenever other people are using it like your kids or your employees. It can record calls, text messages, browsing history, app usage and photos captured. 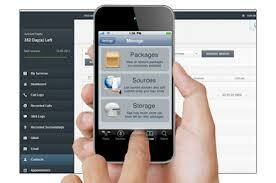 It can also backup all the information gathered so you can have access to it through the online platform of the app. Pros: With GPS locator, can track calls, messages, browsing history and photos captured. Cons: Costs $109.97 for one-year subscription, with reported bugs in recording data. The MobiStealth keylogger software for Android is great for recording the location of the device registered even if the GPS function of the phone is not working. It can also send SIM change notification whenever the SIM card of the Android phone being tracked has been changed. 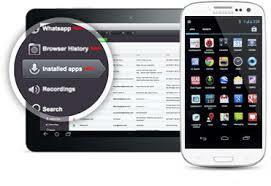 During emergencies, the app will also allow you to remotely wipeout all the sensitive information in the phone. 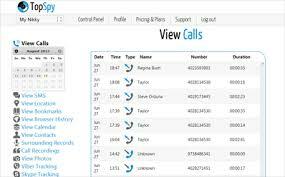 Pros: Can record calls and surrounding sounds, can monitor web browsing, pictures and videos saved. Cons: Costs $99.99 to download. The Android Keylogger app is great if you want to ensure that your phone is being used properly by your kids or by your employees. It can monitor your phone’s call history, text messages, websites visited, apps installed, phone usage, changes in contacts, calendar modifications and pictures taken. The stealth camera mode is also useful if you want to randomly see the phone’s surroundings. Pros: With stealth camera mode, online control panel will allow you to control commands remotely. Cons: costs $99.97 for a 12-month license. The mSpy Keylogger app provides smart features not present in other keylogger software. Aside from monitoring the phone’s web history and app installed, the app can record login information, messages and search phrases. It can also record all the keyboard strokes made on the phone. Pros: Can track all keyboard strokes made, can record the entered login information. Cons: Costs $39.99 for three months and $499.95 for six months. With StealthGenie, you can have a lot of spying features on your Android phone. You can remotely record calls, listen to phone surroundings, view text and chat messages, view the multimedia files accessed, read emails and monitor GPS locations. You can also get instant alerts and notifications for the device being monitored. Pros: Lets you control the phone remotely, can record calls made, great GPS monitoring. Cons: Costs $8 per month for Basic account, $13 per month for Gold account and $16 per month for Platinum account. TopSpy is an excellent keylogger app for Android phones. 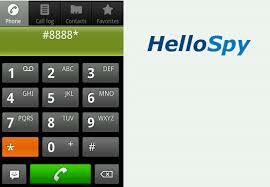 It can record all the incoming and outgoing calls in your phone. It can also track messages in social media apps like Facebook, Viber and WhatsApp. Its real-time GPS locator will assure you that you completely know where your Android phone is. Pros: Real-time GPS locator, can spy to social media apps, can record calls and text messages. Cons: Costs $33.33 per month to unlock full features. SpyEra is an undetectable keylogger app that can run silently in the background system of your Android phone. When under active surveillance, the app doesn’t drain battery and performance. It is also completely hidden from the phone’s home screen, launcher and task manager so it will never be detected when in active use. Pros: Can secretly record all cell phone activities, completely undetectable even in the phone’s root directory. Cons: Costs $189 to unlock full features. 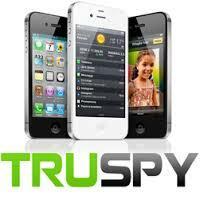 TruSpy is especially designed to monitor your kids’ activities with their cell phones. It is also great for teenagers as you can easily detect if your teen is texting while driving. The app can record everything that happens on the phone and it will send everything to the partner online account of the app. You can also send commands to the targeted cell phone through text messages. Pros: Can track phone location, can record all IM and text messages, can remotely send commands to the app through text message. Cons: Costs $119.99 for one-year subscription, difficult to install. This free keylogger app for Android can track GPS locations, text messages, calls and web history. You can also get a copy of everything typed on the phone’s keyboard by email. All you need to do is create a free online account at bosspy.com and install the software on your mobile device. Pros: Free to download, with GPS tracking, can record everything typed on the keyboard by mail. Cons: Supported Android platforms ranges from 2.x to 4.x only. As the name suggests, the KidLogger app is designed to monitor your kid’s activity in using mobile phones. It can track your kid’s browsing history, texts and call logs. It can also display the most commonly used app and the total amount of time spent in each app. By the end of the day, the app can give insights on your kid’s total number of hours of phone usage. Pros: Free to download, keeps a clean record of the phone activity, especially made for kids’ safety. 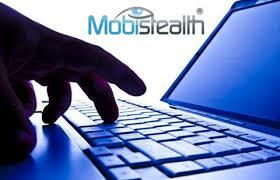 It is now easy to safeguard your Android phone with the above mentioned keylogger software. When selecting one for your Android phone, it will be best to compare all the features included and opt for a free trial first. Android phones have become an essential part of our daily life style. Users may try ikeyMonitor Android keylogger. Such an effective app that I used. Anyway thanks for the post. I am so surprised that I can’t see iKeyMonitor in the list. I have tested its free online demo and I am going to purchase its official edition. This Android keylogger works really very well. I’m surprised where is http://spyphone-online.com in this ranking. Awesome software online and you don’t need phisical access to smartphone. Working good and fast and FREE. I uses that to spying my girflrind’s phone as well. Beware, if you consider the free trials of many of these products as I did, many of the trial versions are VISIBLE to the user of the phone, making it basically useless. iKeyMonitor also offers free trial for iOS. It is invisible and undetectable. Hm, these apps is probably really good. And did you hear something about wonderful free android keylogger https://www.hoverwatch.com/free-android-keylogger ? To my mind it is one of the best! how to monitor text messages on iphone? Now you can use all the features of the Service. Watch the current position and history of mobile phone movements, read SMS, control calls, etc.